For more than 80 years, Bear Archery has been America’s No. 1 brand in youth and institutional archery. The Brave is the perfect introductory bow for young children following the example of Mom and Dad. With a 26" axle-to-axle and 15 to 25 lb. peak draw weight, the Brave is suggested for ages eight and older. The Brave has a draw length range of 13.5 inches and a brace height of 5.5”. The let off is 65%. The Brave Youth Bow Set comes ready to shoot with two Safetyglass arrows, Whisker Biscuit arrow rest – the safest rest in the archery industry and a $40 value, a 1-pin sight, arrow quiver, and armguard. The Brave is intended for right-handed use only. Choose from six different color options. It’s never too early to share Bear with the next generation of archers. Give your youth archer the best chance to develop their skills with America’s No. 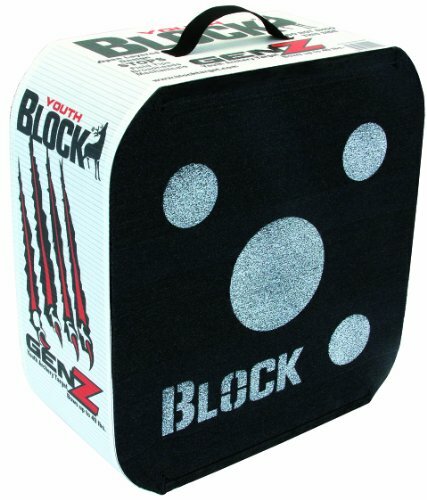 1 brand in youth archery – Bear Archery. Safetyglass arrows are strong, durable, and safe. These fiberglass arrows feature high-flexing qualities and will not splinter. Arrows come with nock and points installed and pre-fletched with vanes. 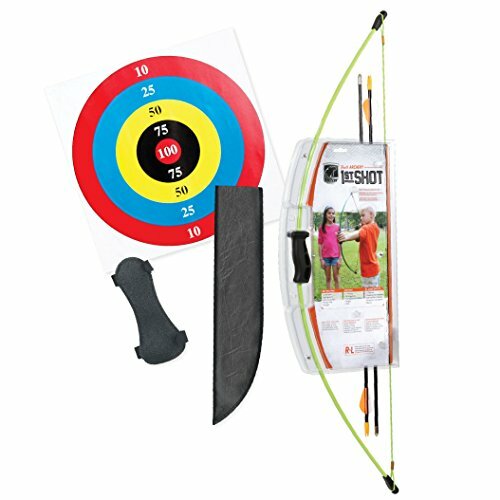 Three arrows are included per card and are available in four different sizes – 24-inch, 26-inch, 28-inch, and 30-inch. Caution: Arrow spine weight must match or be higher than bow weight. For more than 80 years, Bear Archery has been America’s No. 1 brand in youth and institutional archery. Featuring an ambidextrous riser design, the Flash is an introductory bow suggested for youths 11 years old and up. The integrated Whisker Biscuit Arrow Rest – the safest rest in the archery industry and a $40 value – and sight pin are helpful in learning how to shoot. The Flash features a draw length range of 16 to 24 inches, a 5 to 18 lb. peak draw weight, and a brace height of 7”. The let off is 60%. The Flash measures 47” long from end to end and comes ready to shoot with two Safetyglass arrows, arrow quiver, finger rollers, and armguard. Choose from two different color options – red and yellow. It’s never too early to share Bear with the next generation of archers. 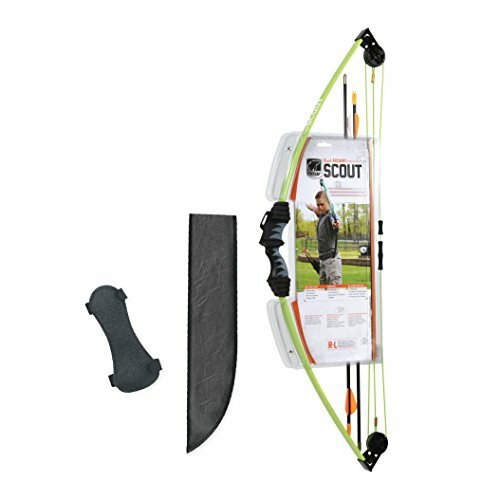 The Bear Archery Brave 3 Bow Set includes everything young archers need to get started in the sport of archery. Recommended for children aged eight years old and up*, the set includes a high quality bow, two Safetyglass™ arrows, an armguard, a two-piece arrow quiver, a Whisker Biscuit Arrow Rest®, a pin sight, and a temporary tattoo. 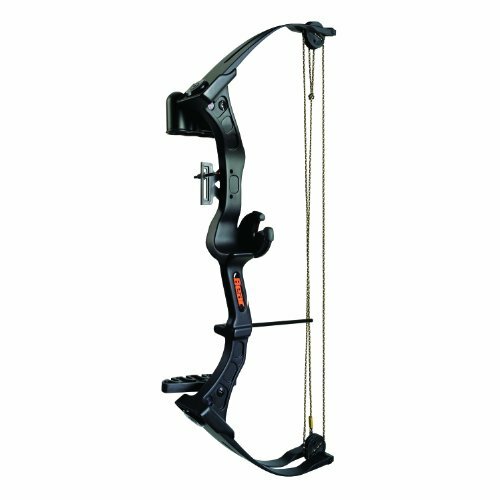 The bow features durable composite limb and riser construction and measures 26 inches from axle to axle. Constructed of fiberglass, the Safetyglass™ arrows offer high flexing qualities and will not splinter. 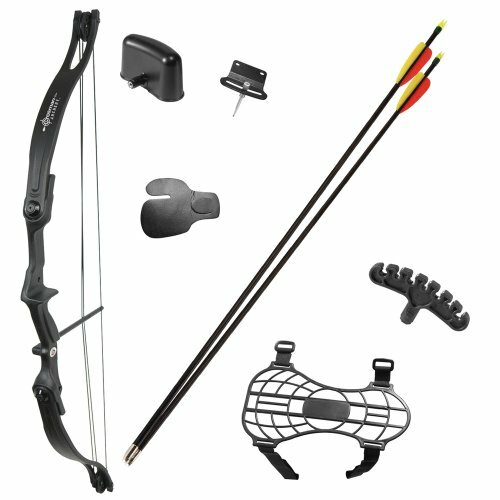 Compare prices on Bear Archery Brave Bow Set at ShopPlanetUp.com – use promo codes and coupons for best offers and deals. We work hard to get you amazing deals and collect all available offers online and represent it in one place for the customers. Now our visitors can leverage benefits of big brands and heavy discounts available for that day and for famous brands.